Above Rubies is a livelihood project created to help widows and single mothers. Your purchases give dignity, strength and hope to women. Each mother receives a fair wage, with health insurance, retirement fund, a housing loan scheme and free lunch. Our dream is that the products will be beautiful in every way. Jewellery products are made with beads made by the women. 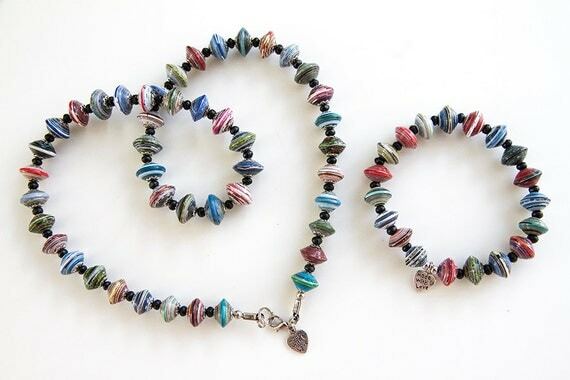 Each handcrafted bead is made from recycled magazines and is coated with a special gloss. Not only are they eco-friendly, they are unique and special. Crochet products are made from all new and quality materials and are expertly crafted, making gorgeous gifts. Visit and LIKE our facebook page for news and updates about markets and new designs.